NORFOLK, Va. — On Jan. 8, the Savannah State University National Alumni Association Hampton Roads Chapter contributed dictionaries to a second grade class at Campostella Elementary School in Norfolk, Va.
Campostella Elementary is the Science, Technology, Pre-Engineering, and Mathematics (S.T.E.M.) for the Norfolk Public School System which works to increase early student value and awareness in S.T.E.M. areas while preparing them with 21st Century skills necessary to meet the future demands of a globally competitive workforce. 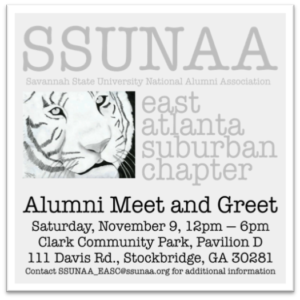 The Savannah State University National Alumni Association Hampton Roads Chapter was chartered by the Savannah State University National Alumni Association in October 2012 to provide a local organization for SSUNAA members in Southeastern Virginia and Northeastern North Carolina. The primary purpose is to promote the welfare of Savannah State University and to assist in advancing the mission and the goals of the university’s administration as we meaningfully engage and support Savannah State University and its alumni community. 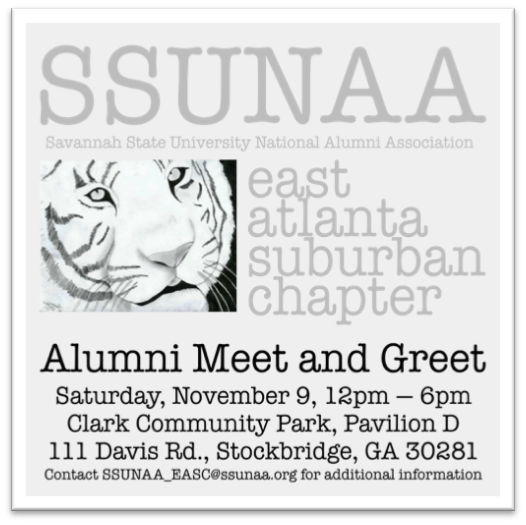 LAWRANCEVILLE, Ga. — The Savannah State University National Alumni Association East Atlanta Suburban Chapter will host an Alumni Meet and Greet on Saturday, November 9 at the Clark Community Park (111 Davis Rd., Stockbridge, Ga.) at Pavilion D beginning at 6 p.m. For more information or to RSVP, please email the chapter at SSUNAA_EASC@ssunaa.org. The East Atlanta Suburban Chapter was officially chartered on August 24, 2013 to provide support for the Savannah State University community in Butts, Gwinnett, Henry, Jasper, Morgan, Newton, Rockdale, Spaulding and Walton counties in Georgia. SAVANNAH, Ga. — The Savannah State University National Alumni Association will host a chartering ceremony for the Hampton Roads Chapter on Friday, October 26 at 6 p.m. The ceremony will be held at the Springhill Suites, 6350 Newtown Road, in Norfolk, Va. The new chapter will create an organized network for communications between and among the alumni, administration, faculty, staff and students of Savannah State University and the southeastern Virginia and northeastern North Carolina communities. The Executive Committee of the Savannah State University National Alumni Association authorized the establishment of the chapter in August. For information on becoming a member of the Hampton Roads Chapter, contact Mr. Absolon Kent at (757) 687-0581. 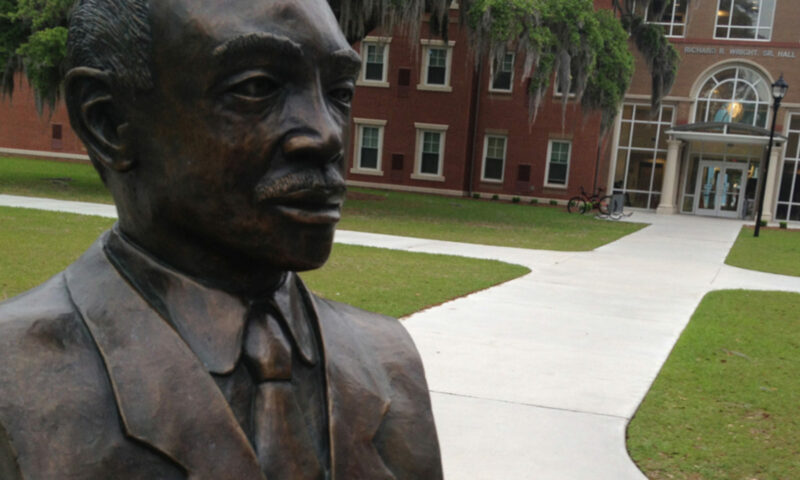 SAVANNAH, Ga. — The Savannah State University National Alumni Association will host a chartering ceremony for the Central-Suncoast Florida Chapter at 1 p.m. on Saturday, June 30, at Mt. Sinai Missionary Baptist Church, 5200 W. South St., in Orlando. The new chapter will create an organized network for communications between and among the alumni, administration, faculty, staff and students of Savannah State and the Central–Suncoast, Florida community. The Executive Committee of the Savannah State University National Alumni Association authorized the establishment of the chapter during its annual May conference in Savannah. For information on becoming a member of the Central-Suncoast Florida Chapter, call Mr. Winfred Verreen at (321) 662-4269.